Brand new isn’t always better. That certainly seems to be the case with more than 26,000 new Volkswagen vehicles being recalled. 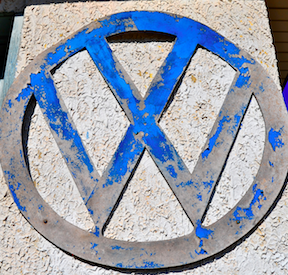 Volkswagen is recalling 26,452 vehicles because of an issue that could result in a fire, Detroit News reports. The recall affects the model year 2014 Jetta, Beetle Convertible, and Passat with a 1.8T engine and torque converter automatic transmission. The company tells the National Highway Traffic Safety Administration in a notice [PDF] that O-ring seals between the oil cooler and the transmission my leak fluid, which could cause a fire when it comes into contact with a hot surface. Officials with Volkswagen say they are unaware of any crashes or fires related to the issue. The issue was first observed in March at a Port facility during routine vehicle inspection. From there the company initiated an investigation and checks at dealerships. A stop-sale of affected vehicles was initiated on April 8. Volkswagen will notify owners, and dealerships will replace the O-ring seals in the transmission oil cooler, free of charge, the company says. Previous My Taxes Are Done. What Can I Throw Out Now?